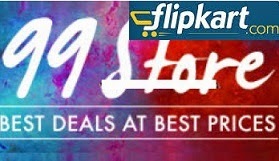 Flipkart Dhamaka Days Sale Duration: Flipkart Festive Dhamaka Sale starts from 24th October Midnight till 27th October 2018 (11.59PM). Flipkart Dhamaka Days Sale Bank Offer : Get 10% instant discount with Axis Bank Debit Cards & Credit Cards. 10% Cashback on purchase of select Lifestyle, Beauty & Personal Care categories on the Platform, using your PhonePe wallet or credit card/debit card/UPI through PhonePe during the offer period, as defined below. Offer Duration: 23rd Oct, 2018 (00:00 Hours) to 27th Oct, 2018 (23:59 Hours).